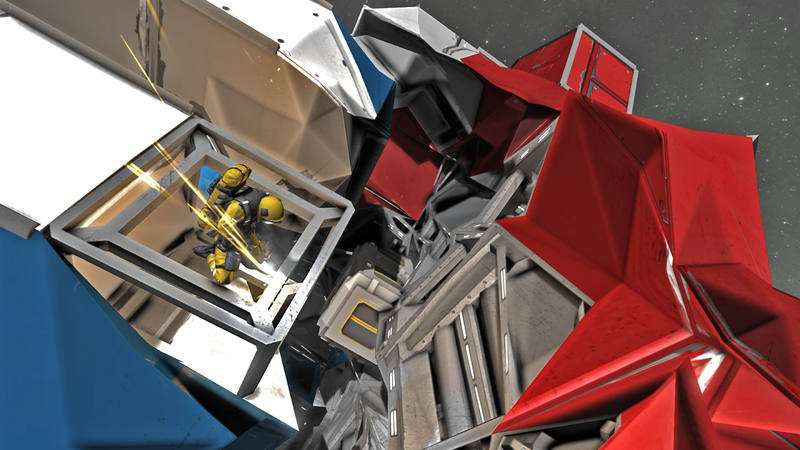 Answers to Space Engineers related questions posted on our Facebook page and our forum. Will there be early access to the game? Steam Early Access date will be announced during the first week of October 2013. Creative mode is what you can see in this video http://www.youtube.com/watch?v=75GGK5NMkMk.You have unlimited resources, adding and removing blocks is instant, you can build at large distances, you can add/remove multiple blocks by holding Ctrl key, your space suit energy doesn’t deplete and reactors have infinite fuel. Creative mode building is possible only when your world runs in creative mode (this can be switched on/off in world settings). Manual mode is what you have seen in the alpha video http://www.youtube.com/watch?v=R3b9e_KWO-I. This is the “realistic” building mode. To build a block, you first install its frame and then finish the construction in several stages. The components required for the construction are supplied from your backpack and are installed layer by layer (like an onion). For example, to build a door you need 40x construction components (screws), 4x metal grid, 10x interior plate, 8x steel plate, 4x small tube, 2x motor, 1x display and 2x computer. Disassembling works in the opposite way; dismounted components go to your backpack. The topmost layer is usually a steel plate – if there’s a hypothetical situation when an attacker wants to get to computers in a door module, he has to get through steel layers first and only then he can gain access to the computer layer. The welder is the hand tool used for assembling and repairing. The grinder is used for disassembling. Damaged layers can be repaired by replacing components in those layers (e.g. if a turret is damaged and its integrity decreases to 80%, you most likely have to only replace the first few layers of steel plate). How do you create an object? 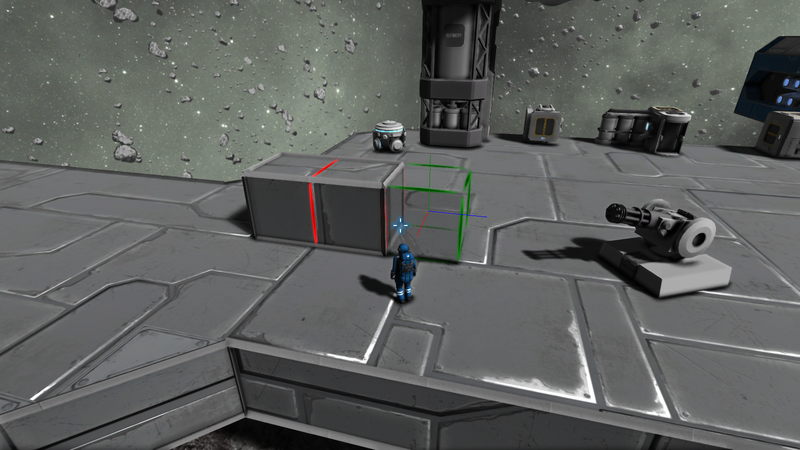 We will release a walk-through video, showing the state of Space Engineers on day one of Early Access. People who are willing to purchase the game will see what they are getting. At this moment, the core of the game lies in the creative mode building, physics simulation and destruction. These are the features that must work on day one. Everything else can wait. We can’t reply to every comment, but I can assure you that we read all of them and they will influence how Space Engineers develops. follow us on Twitter https://twitter.com/SpaceEngineersG and you will be notified on all updates. Warning: Space Engineers is still in development. Everything in the game is subject to change. If you understand what alpha/beta is can't we get the option to have Manual mode on day one of early access? Because Creative mode is not really my thing. Getting the stuff you need to build something is half the fun you know! So if it's 99% ready as you say why just not make it possible to activate it in the config files? That way no one that don't understand what alpha/beta is will have to play a unfinished game mode and rage that something is broken and so on. Keep up the good work and I am hoping on that we will see Manual mode on day one of Early Access! Hy guys really good news today about your awesome work and this awesome game :)). Just one question, i know early isn't done a this time and there surely a lot of work to do, but have you got any ETA about the multiplayer mode ? I wish you luck, guys, and looking forward for trying SE myself ! Me and my friends are sitting here flipping out for news Thank you Keen and marek! Excellent! Thanks for the info! I can sleep better at night. Early access coming soon? MY BODY IS READY! We would like to do this, it's already in our design doc. I just don't know how soon we can get to it (and if there won't be more urgent features). my mind, body and wallet are ready. Hm, the only thing that's missing is a projected price tag. Will there be 4-pack option in steam? Hm, we were planning to add it later, once the game has proper multi-player... but if there will be a strong interest in this, we can talk with Valve and offer it sooner. Trust me when i say this, theres interest all right. when you see a single comment like the one above, its something we all would go for given the chance. gamers dont differ to much when it comes to packs. The HW testing, the limited time pre-release and 64 bit experimental mod. All brilliant decisions Mr. Rosa. We (the SE community) have high hopes that you and your team can turn your creation into a full fledged game in earnest. One that will not be forgotten. Something I would like to see in the game is a method of repairing parts of a ship that have broken apart, for example the ship is split in half, perhaps if you could 'tether' them together then join them with a special tool? This can be done using "welder" tool - which is currently disabled. It will become available when we enable "building in manual mode"
I am really looking forward to when Manual Mode cna be played. Can you give us an estimated time till when it will be available? Is there any chance this game will ever be offered for Mac? 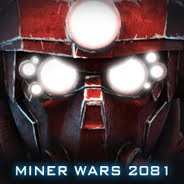 Does anyone know when this game will be able to play multi-player because my 3 brothers and me would like to build ships and space stations together. Because the game is great and fun, but it be a lot more fun being able to play with my friends and brothers on it. with like a clan kinda thing or like a team.